It’s quite common to see a business man or a worker grabbing his laptop and making his way to a coffee shop or a Pizza hut than to his office. With the rise of virtual offices there is a need for an improved tool to help and manage teams of remote workers. 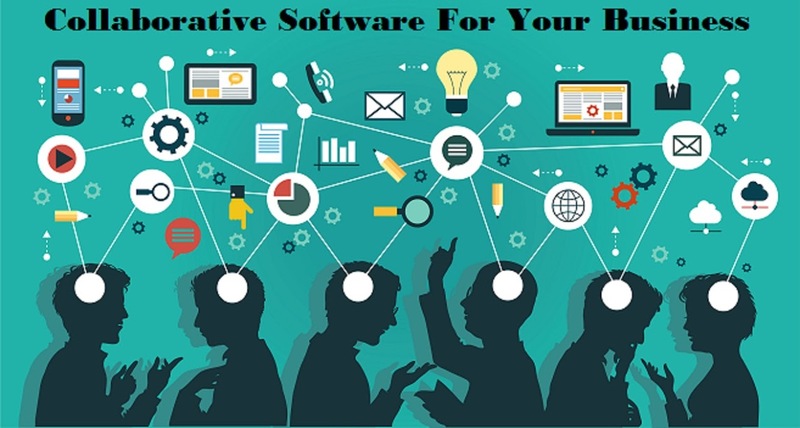 Collaborative software is the powerful tool that connects every employee to his colleague. The software allows businesses to help their employees share ideas and information among them and share any document or file. It’s easy to see why a business team opts for collaborative software that lends its hand to connect the employees with the information when it’s needed the most. This software enables communication, but there are many other benefits to bear in mind being an entrepreneur. Many collaboration systems are ideally tailored to meet the needs of most small businesses. Many are reasonably priced and are available as cloud-hosted applications that charge companies based on the number of employees using the software. And with such significant software at the work place employees can update their work status, can share all necessary information, can discuss and clarify their doubts or can even put forward their ideas. With all these features incorporated on a single software one can give a break to traditional messaging, emails and phone calls for our work queries. This has been best up to the minute team collaborative software that has caught the attention of the business world with its simple messaging app that comes integrated with every tool that a business or industry uses every day. With separate channels; organize different projects and teams. Its powerful search feature helps you get your hands on a particular message or file from any person. GroupRocket has all the features that a normal tool provides and has several additional features as well that focus on the tool from the rest. One can create your own chat platform for any niche business small or large and with the full source code and free upgrades for life. The new team collaborative software now focuses on providing the best chat solutions for business owners and corporate offices that gives the employees a medium to chat among them and swap files as well. With features like easy and secure registration, notifications on every activity of user and members; the software allows the users to collect all messages as well. The software comes integrated with Dropbox, Mailchimp , Stripe and several other features can be incorporated as well. The software can be used to create a chat platform for any business, small or big and it comes as a web version and an iOS app version with several distinct features including user registrations through email and invites, notifications on both user and other members’ activities, integration with all major tools – Google docs, Stripe, Twitter etc. and an ideal management system that makes team management easy going. Buyers get the iOS and web version of the collaborative software with full source code and free future upgrades for just $399. And for an additional $199; the buyer gets expert installation from setting up the software in their server and having it up and running. This will be the best price you will ever get for! eXo Platform is an open-source and supported by great community. It is social-collaborative software designed for enterprises. It is loaded with the features such as wikis, forums, calendars and documents are brilliantly incorporated in the activity streams, social networking and workspaces. eXo helps companies connect their employees, customers and developers through social, collaborative and content-driven intranets, websites and dashboards. This is very helpful for collaborating jobs in big and small companies and it helps in providing an easy way to chat and perform video calls on eXo platform. The software has come as an app for iOS, android and Mac devices; it also comes as web version for the desktop users and as a new release comes for the Apple watch as well. Bitrix24 is software that has group of social collaboration, communication and management tools for your team. Get instant feedback, share ideas, create workgroups and engage your employees via Bitrix24. It’s software that combines a social internet system with CRM tools that holds contact tracking, sales funnel management, calendars, messaging all of which enables your team members to instantly manage important portion of information. You can get full control over data, source code and additional tools such as helpdesk and e-learning as well as integration and customization options. With no downloads and with shortest way of sharing documents you can start web collaboration using Drum software. It’s an enhanced collaboration tool that allows users to edit documents in real time. It is easy to use and flexible enough to accomplish a wide variety of tasks. Bid a bye to those never ending messages and email threads, using these collaborative software make it faster and easier to connect and communicate with your team with all the collective knowledge at your finger tips.